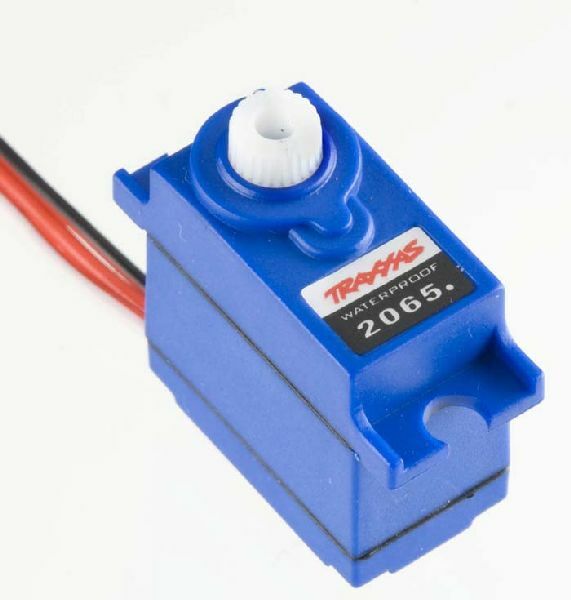 This is the TRA2065 Sub Micro Servo included in the Two Speed Conversion Kit (TRAC4000) used on the Traxxas E-Maxx. Sub micro size, waterproof construction. Actuates the Internal Shift Fork (TRAC3906) with the push of a button from a 3-channel transmitter. INCLUDES: Sub Micro Servo with universal connector. REQUIRES: Installing at transmission and connecting to shift fork and receiver.